One warm August evening, cloaked in darkness, a group of people toppled Elberton’s Confederate monument. The next day, they buried it. Anti–Confederate activists? Politically-correct terrorists? Nope. It was August 14, 1900. Elberton, like many Southern towns in the 1890s, wanted to honor the Lost Cause. It also wanted to promote its new granite industry as part of the vibrant new South. 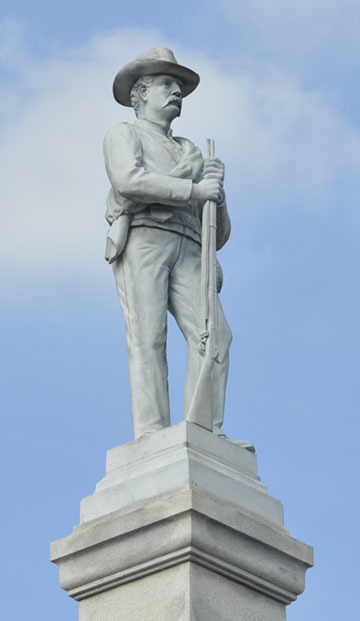 A Confederate memorial, made from Elberton granite was the perfect way to do both. The problem was the monument itself. 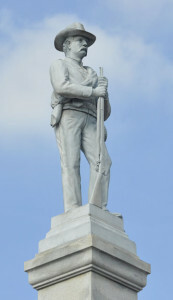 The Italian sculptor hired for the project had clearly never seen a Confederate soldier—the statue was wearing the wrong uniform. 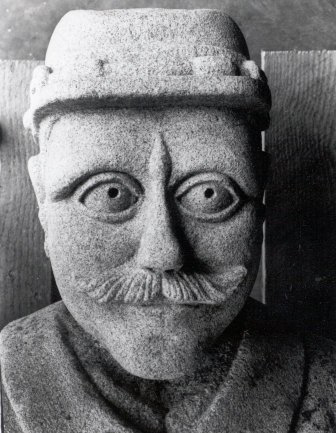 T he squatty figure with bulging eyes was lampooned as “a cross between a Pennsylvania Dutchman and a hippopotamus,” earning it the unaffectionate nickname “Dutchy.” So down came Dutchy, replaced by a new Confederate monument. Elbertonians felt that the existing statue was offensive and didn’t represent the values of those in the community. They replaced it with something they felt was more in keeping with who they were. Some state lawmakers don’t believe the people of Georgia should have that right, at least as regards state-owned monuments. Reacting to the removal of Tom Watson’s statue from the State Capitol grounds, there is a movement afoot in the Georgia state legislature to prohibit by law the destruction or relocation of Georgia state-owned public monuments. Hmm. Current and future generations shouldn’t be given the right to re-write history, but he apparently believes, because of his own political agenda, that a current state representative does have the right to enforce a very limited version of the past on the rest of us for all eternity. This is legislation one would expect to find in a totalitarian regime, not in a self-governing democratic republic. He’s certainly right that we can all benefit from the study of history. But there are several things wrong with this statement. First, “history” is re-written every day and has been since the dawn of time, as n ew evidence about the past comes to light. The very act of writing history is historical revisionism. 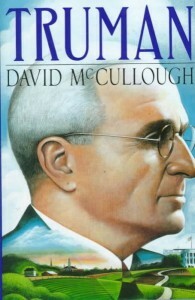 Just two examples: When President Harry Truman left office in 1949 he was universally considered one of the worst presidents in our history. 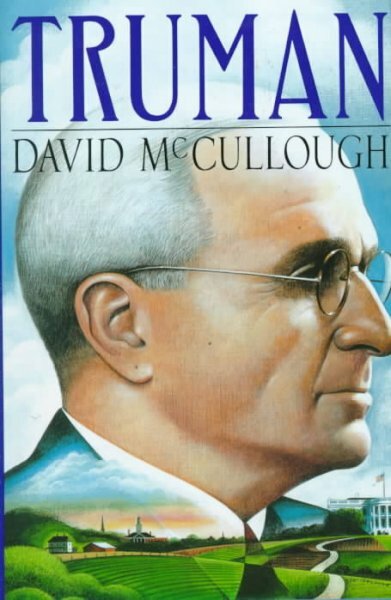 By 1992, when David McCullough’s magisterial biography appeared, he had been re-evaluated as one of the best. Nothing in the past had changed. 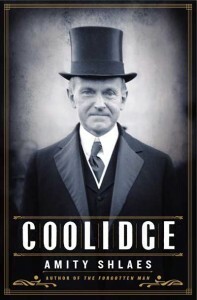 Calvin Coolidge is going through a similar revival on the political right at this very moment, from hapless bumbler to “Great Refrainer” who championed small government, thanks in part to Amity Shlaes’ new biography. History isn’t some sort of static rock that never changes. There’s a huge difference between the past and history. History is what we say about the past, and it changes all the time. If you believe that removing names off landmarks is re-writing history, then we have a long and honored tradition of that in America, and in Georgia. 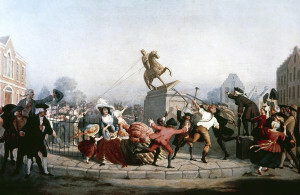 Under the proposed legislation, it seems highly unlikely that Georgians in the aftermath of the American Revolution would have been able to remove statues of King George III or to change the names of streets with royal names like King Street and Queen Street to Congress, President, and State streets, as Savannah did in the 1780s. Those names no longer represented who they were as heirs of the Revolution. Freedom meant having the right to choose who you honored and who you didn’t, and no one can accuse the Revolutionary generation of being slaves to political correctness. Speaking of political correctness: When Georgia seceded from the United States in 1861, the secession convention published a “Declaration of Causes” that explained to the world why the delegates believed the extraordinary step was necessary. I urge you to read it–it is widely available online. From the second sentence in the document, Georgia makes it clear that preserving the institution of slavery was the primary and most important reason for leaving the Union. Georgia’s secession delegates were not ashamed of that reason and didn’t shy away from it in 1861. Indeed, they expected that their support for that cause would rally most of their fellow white Southerners to their banner. In the document’s 3,300 words, the phrase “states rights” appears nowhere. Nevertheless, after the war, in one of the most blatant acts of “political correctness” ever undertaken, Lost Causers and other former Confederates obliterated and repeatedly denied any link between the Confederacy and the preservation of slavery, as they do to this day. Why? Because it was no longer politically (or racially) correct after the war to have attempted to destroy the United States over such a thing as the preservation of slavery, so they simply did a lot of “arm-chair second guessing” as to their reasons for secession. Most pro-Confederate groups continue to do it to this day. The idea that history isn’t re-written is ludicrous. But here’s the thing: statues aren’t history. They’re pieces of artwork that reveal more about the cultural values of the people who erected the statue than about the person portrayed in the statue or monument. The very act of designing a statue or monument is an act of historical revisionism itself, because designers and supporters of the statue are very selective about what they put on the marble. Anyone who puts up a statue chooses very selectively from the accomplishments and writings of the person they are honoring and how they want that person portrayed, and what is chosen is one interpretation among many of the person or event being honored. But it’s just that, an interpretation. 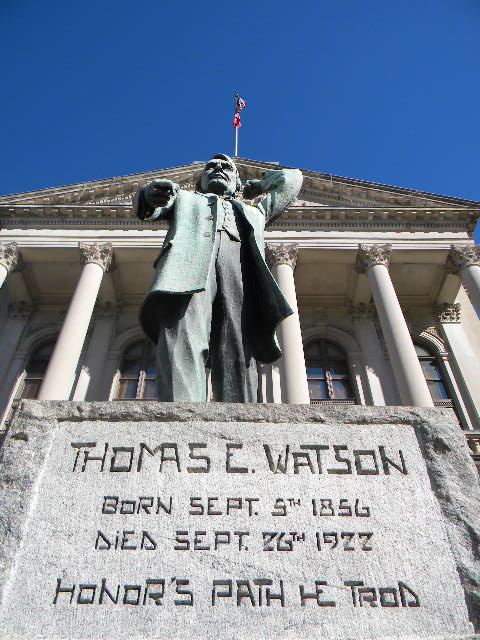 For example, the Tom Watson statue at the State Capitol has none of his writings about Jews or African-Americans, which were as controversial in his day as in ours. 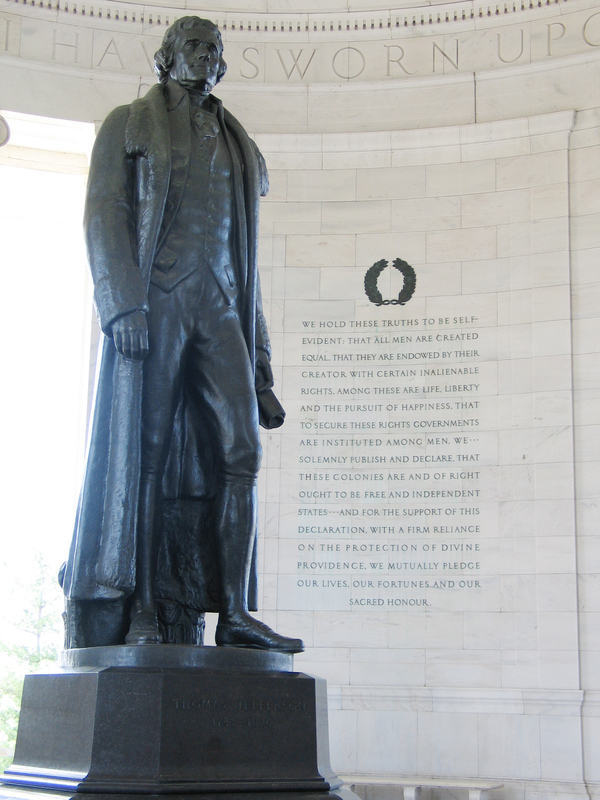 The Thomas Jefferson Memorial in Washington doesn’t list the number of slaves he owned, nor does it say anything about Sally Hemings. 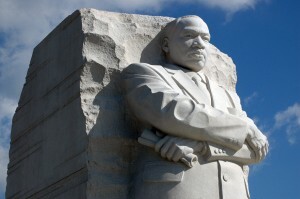 And the MLK monument in Washington has nothing about King’s adultery or plagiarism. These three men, like all human beings, had moments of greatness but they were also flawed and fallible. We all are. But the flaws never make it onto the monuments or statues and therefore should never be confused with the balanced, full interpretations that real historians and the real study of the past strives to achieve. Moving statues from this street to that one or even removing them altogether does nothing to prevent us from studying the achievements or the multi-faceted aspects of the lives they represent, warts and all. That study takes place in the primary documents of history and the secondary sources written from those documents, not from statues or monuments. When those primary documents themselves face obliteration, then we should be alarmed. The idea that the state can virtually chain all of the people of Georgia in perpetuity to a narrow slanted interpretation of the past is a ridiculous notion, and one quite frankly that should be rejected by all Georgians as being one of ideological correctness run amok. Professional historians constantly re-evaluate people and events in the past as new evidence comes to light, just as doctors re-evaluate treatment for diseases based on new medical research, and we shouldn’t be opposed to changing our minds about what we think about something or someone. Revising our views about the past isn’t “political correctness,” it’s sounds and professional scholarship. Suppose a community erected a statue to a person and then evidence came to light 20 years later that that person was a child molester. Would anyone suggest that the people living in that community 20 years later don’t have the right to take that statue down? That the person being honored no longer represents their values? Of course not. 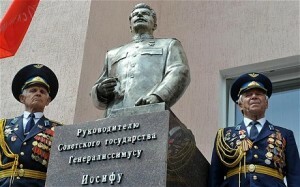 But under the proposed legislation, if it was a state-owned monument they would be forbidden to do so. This is a strange piece of legislation indeed for opponents of big government to propose. 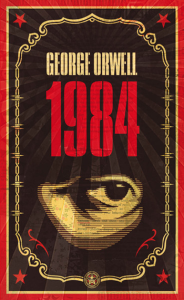 Using the power of the state to enforce one version of events or values is a dangerous thing, and strikes me as being worthy of Orwell’s 1984. It sounds like something the Soviets would have done. 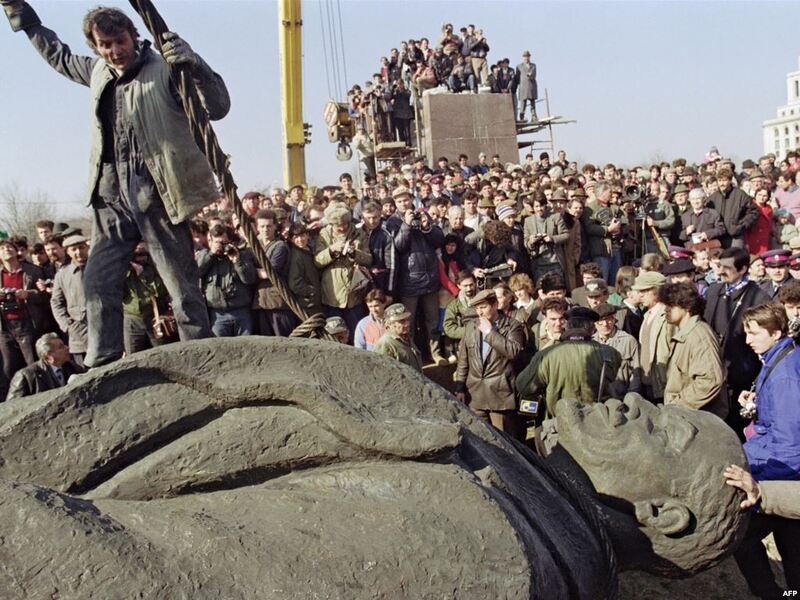 After all, when the Soviet Union fell, exuberant Russians were quick to take down statues of Lenin and Stalin because they no longer felt those figures represented who they were and they had been forbidden to take them down under totalitarianism. Freedom means having the right to honor who you choose. The proposed monuments bill would have made such a thing illegal, as nothing more than “arm-chair second-guessing” by latter day enthusiasts of “political correctness.” Binding the people of the future to the values of the past that are enshrined in marble is nothing more than enforcing a narrow and one-sided interpretation of the past that all Georgians should be wary of. 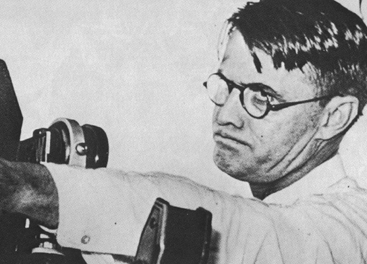 It’s as if Governor Eugene Talmadge had proposed legislation in the 1930s forbidding Georgians in the future from believing in the equality of the races. Before anyone accuses me of trying to censor the past, let’s be clear: moving or taking down statues in no way prevents anyone from learning about a figure in history. In fact, I would argue that far from removing figures like Tom Watson and Eugene Talmadge from our history, we should study them and their words and deeds in depth—and in their totality, not just the parts that make us feel good about them. If they wrote racist things about Jews and African-Americans, let’s read those words, not to condemn but to try to understand how deeply those words created their identities and shaped the world they lived in. Watson and Talmadge were very popular in large part because of what they thought and said publicly about blacks and Jews, and we need to understand that and not hide from it. 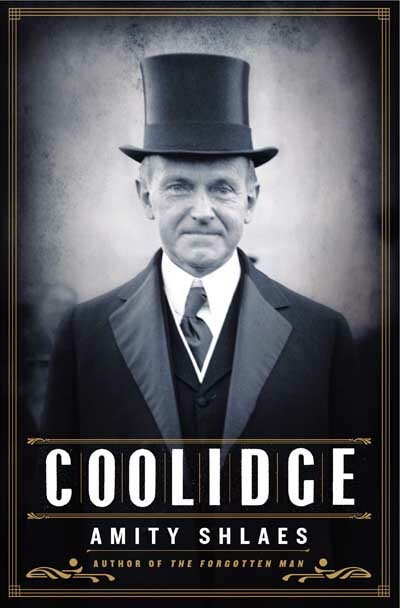 We need to understand how accomplished and educated people like Talmadge and Watson could have ever thought what they believed, and how their beliefs shaped the society in which they lived and influenced those who came after them. But it’s nonsense to enforce by law the notion that because our ancestors 100 years ago revered Tom Watson we therefore should too. Taking down or removing their statues in no way keeps us from studying these people. When anyone begins proposing that we burn their letters, diaries, and public correspondence, then we should indeed get alarmed, because destroying primary source documents will in fact prevent our gaining a greater understanding of historical events and figures. But a statue of a person put up days or years after that person’s death is nothing more than a marble representation of what people at a certain time wanted you to know about that person–an interpretation, and nothing more. There’s nothing sacred about them. I’m not proposing that Georgians or anyone else should be moving or taking down statues. But I am saying they should have that right if they or their elected representatives so choose. 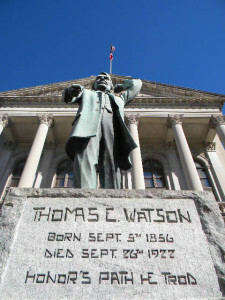 And no one is suggesting that the Watson statue be destroyed, it was simply moved. Even the U.S. Constitution allowed for changes through amendments, freeing future generations from the icy grip of the past. The proposed bill would freeze our collective grip forever on people and prejudices that we long since would have otherwise cast off as representing who we are. 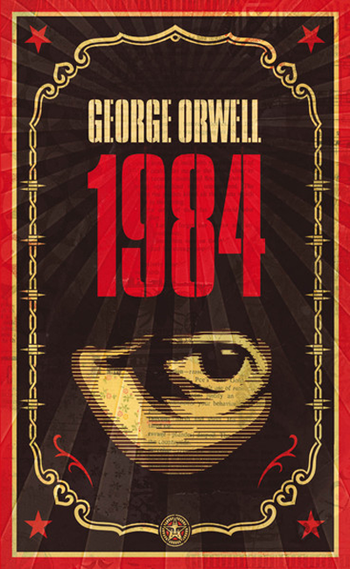 Making it illegal for future generations to remove or replace statues is a form of thought control that even Orwell didn’t envision. It should never be illegal to change our collective minds. This entry was posted in Public History on January 23, 2014 by Stan Deaton.